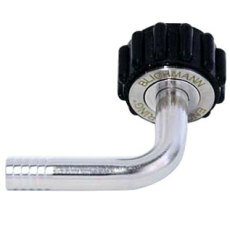 Blichmann Engineering QuickConnector with 1/2" straight barbed fitting. 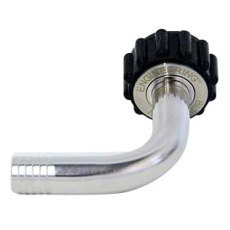 QuickConnector from Blichmann Engineering with 3/8" straight barb. 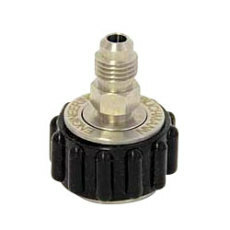 90 degree Blichmann QuickConnector with a 1/2" barb. 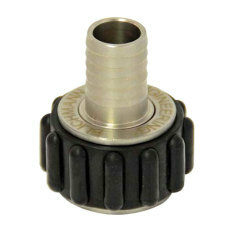 Blichmann QuickConnector that features a 90 degree angle 3/8" barbed fitting. 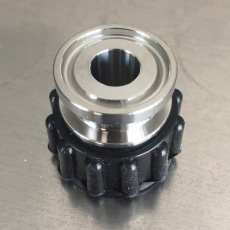 A gauge adapter for 1.5 in. 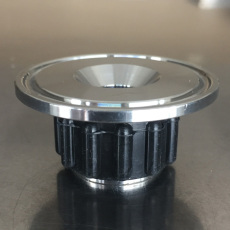 tri-clamp fittings. Has a 1/2 in. 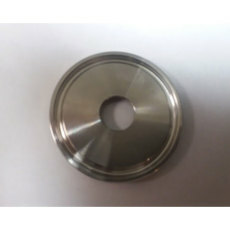 diameter hole for adapting thermometers or other gauges to fermenters or brew kettles. Works great with the 1.5 in. tri-clamp x 1/2 in. 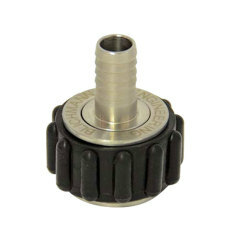 NPT adapter QuickConnector!